Rahul Dravid may have got off to a better start at the SCG than he did at Melbourne, but he batted as slowly as he had in the previous Test. The SCG crowd, which cheered every good shot right through the day, raised a din every time Dravid was on strike. And each time Dravid blocked the ball or let it go to the wicket-keeper, they cheered lustily. When Dravid got stuck on 18 for 39 balls, they simply enjoyed it. Finally, when Dravid took a single because of a misfielding, the entire stadium erupted as if he had reached his century. 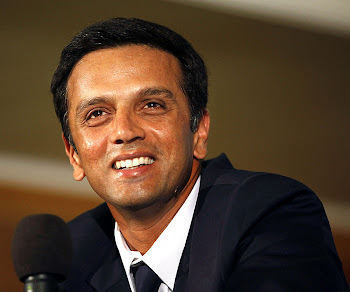 Dravid, who generally maintains a poker face when at the middle, was amused by the crowd's reaction and even raised his bat in acknowledgement. Well played, Jammie!